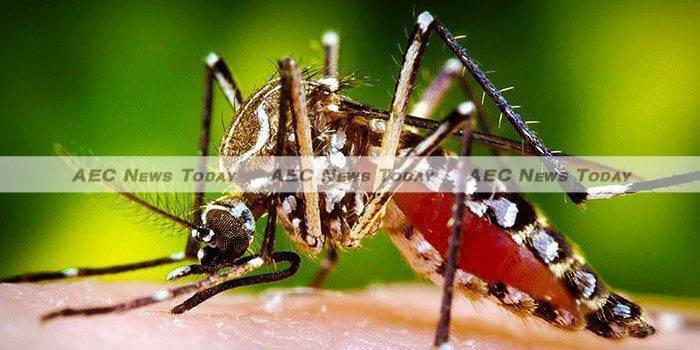 Dengue fever, prevalent throughout the tropics and subtropics, is caused by any of four related dengue viruses—called serotypes—that are spread by Aedes mosquitoes, the same mosquitoes that spread Zika virus. Most of the estimated 390 million people who are infected with dengue virus each year develop either no symptoms or a mild illness. However, some people develop serious or life-threatening illness and large outbreaks lead millions to seek care, severely straining health care infrastructure in endemic countries. The high prevalence of natural dengue infections in endemic areas means that many people have experienced infection at some point in the past and therefore may have immunity to the infecting serotype. A high degree of partial immunity in a population can make it difficult to assess the efficacy of any candidate dengue vaccine. A model of dengue infection in humans is one way to overcome the absence of animal models and the challenge of high background immunity in endemic areas. It is important to note that human challenge studies are conducted according to strict criteria designed to provide meticulous attention to volunteer safety and challenge studies would never be used for certain deadly pathogens, such as Ebola. The experimental vaccine was developed primarily by Dr Whitehead and his colleagues at NIAID’s Laboratory of Infectious Diseases. Scientists from the US Food and Drug Administration Center for Biologics Evaluation and Research also contributed to the vaccine’s development. The candidate vaccine is made from a mixture of four live, weakened (attenuated) viruses targeted to each of the four serotypes. A total of 48 healthy adult volunteers enrolled at two trial sites, the University of Vermont College of Medicine, Burlington, and Johns Hopkins Bloomberg School of Public Health, Baltimore, and were randomly assigned to receive either vaccine or placebo injection. Six months later, 41 people returned for the challenge with dengue virus. Dr Whitehead and colleagues also developed the challenge virus used in the trial, which is a genetically modified version of a dengue-2 serotype virus isolated in the Kingdom of Tonga in 1974. The original virus was notable for causing only mild illness. In previous human challenge trials with this modified virus, Dr Whitehead and his coinvestigators established the virus dose that would cause all recipients to develop viremia—the presence of virus in the blood—and most to develop a mild rash. “This modified dengue virus is very attractive for use as a challenge virus because we can use it to reliably induce dengue infection in a very high percentage of inoculated volunteers without causing serious illness,” said Dr Whitehead. 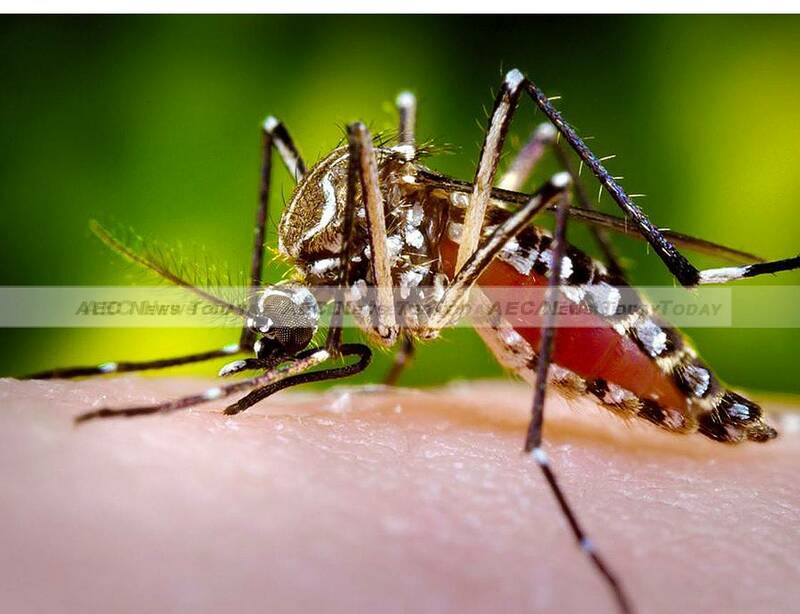 By inducing only rash (without fever) in the majority of recipients, the challenge virus mimics natural dengue virus infection, which often features such a rash, he noted. A human challenge model of dengue infection—rather than illness—is an important characteristic, explained Anna Durbin, MD, who led the clinical trial at Johns Hopkins. “Because there are no specific therapies for dengue fever, it is desirable to have a challenge virus that causes infection, but does not result in significant symptoms of disease,” she said. The reliably high percentage of those who develop viremia following exposure to this challenge virus is another advantage—when most or all volunteers develop viremia or other signs of infection, clinical trials can enroll relatively small numbers of people but still achieve answers to such questions as whether a candidate vaccine protects against infection, she noted. In this study, all 20 placebo recipients developed viremia, 16 (80 per cent) developed mild rash and 4 (20 per cent) had a temporary drop in white blood cell count following challenge with the virus. None of the 21 TV003 vaccine recipients developed viremia or any other sign of infection after challenge. Dr Whitehead is currently developing a human challenge model using a modified dengue serotype-3 virus. This challenge virus could be used in future clinical trials to test the efficacy of candidate dengue vaccines or therapies. Dengue virus is in the same virus family as Zika virus, and the NIAID team is now leveraging their experience with the live-attenuated dengue vaccine in efforts to develop a Zika vaccine, Dr Whitehead noted. Additional information about the dengue vaccine trial is available at ClinicalTrials.gov. The research was funded by the NIAID Intramural Research Program contract HHSN272200900010C.